You are here: Home / Blog / Ayurvedic News / Happy Valentine’s Day! Happy Valentine’s Day to you all! Instead of purchasing chocolates today, try this delicious and organic rose halva as a healthier alternative! • Melt the ghee. Add the raisins and cashews to brown and set aside. • Boil water. When it has cooled add the rose water. Make sure the rose water is food grade! • In saucepan mix the cream of wheat and ghee together and cook over medium heat until light brown. About 3 minutes. • Add the sugar and cardamom followed by the water, raisins and cashews. • Continue to stir to avoid lumps over medium heat, about one minute. • Pour into a cake pan and press flat. Let it cool and cut to serve. With lots of love from the Lakshmi Team – Enjoy the recipe and the day of love! 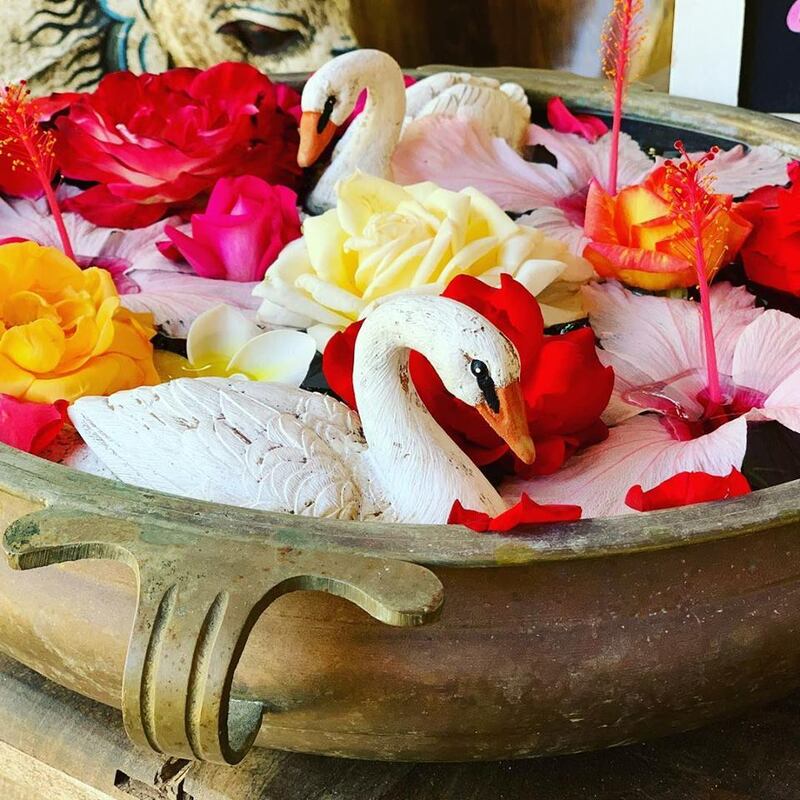 https://www.lakshmiayurveda.com.au/wp-content/uploads/2019/02/Swans-1.jpg 960 960 Karin Lakshmi Gunthor https://www.lakshmiayurveda.com.au/wp-content/uploads/2018/06/la-logo.png Karin Lakshmi Gunthor2019-02-24 18:07:522019-02-24 18:07:52Happy Valentine's Day! Lakshmi Ayurveda	Changing of Seasons - Welcome Autumn! Lakshmi Ayurveda	What is Ayurveda?